The year stunk. For somebody looking for great, great, great growth stocks, the year stunk. The great news though, as I have always told you, out of these markets come BIG, GIGANTIC, MONOLITHIC WINNERS. So stay tuned. You cannot hide success and greatness in the markets, ladies and gentlemen. They all have the same characteristics. They hold up best in the worst markets. They pop up first when the market turns. They have strong earnings. They have strong revenue growth. There are lines around the corner for their products. They are expanding. And life is good. Conversely, you have your Yahoos, Research in Motions and Netflixes. And Eastman Kodaks and Kmart-Sears. We invest in greatness here. Not crap. I’ve been telling you for weeks and weeks and weeks that typically we get end of the year window dressing. Just a few days ago when we popped up with that 300 point gap…a few more to the upside…so we got that end of the year pop. The S&P finished flat. The Dow was up a few percent, It was all IBM. Take out IBM and you’re flat. Nasdaq was down 2 percent. The Russell 2000, the New York Stock Exchange, a few more percent than that. Asia was down between 17 and 23 percent. Europe…a lot of countries there were down between 12 and 35%. Rough year. Financials: Bearish, but off the lows with a chance for another leg up. Gold: I believe Gold has entered a bear market. I told you that if Gold broke the 150-day moving average, expect some harsh selling – it occurred. Yesterday, I told you it was sold out near term. It was up nicely today, but it was only finished up 1%. I told you though; any short-term rally is sellable right now. I’m just ferreting out relative strength of growth names, ignoring most everything else. Why? Because I’m just sitting waiting to get big volume conviction type moves out of range, with many others following suit to tell me it’s for real. I have done very little recently because none of that’s occurring. And anything that did move out of range was on no volume and absolutely no conviction. And with the plethora of other evidence that this is not a bull market (like some suggest), I am fine and dandy to sit back and relax. Again, I think I will know more in January. Again, I have no idea what January brings. Again, I’m worried about January. Again, I’ll let the market decide for itself. SPECIAL NOTE: Be sure to register now for my next live Webinar on Saturday January 21, 2012. I will talk about the important implications of early-January’s market action…and much more. Click here for more information. OVER $15 TRILLION IN DEBT AND THIS YUTZ IS HAPPY ABOUT IT…AND HE IS A NOBEL ECONOMIST! SPECIAL NOTE: Be sure to register now for Gary Kaltbaum’s next live Webinar on Saturday January 21, 2012. He will talk about the important implications of early-January’s market action…and much more. Click here for more information. 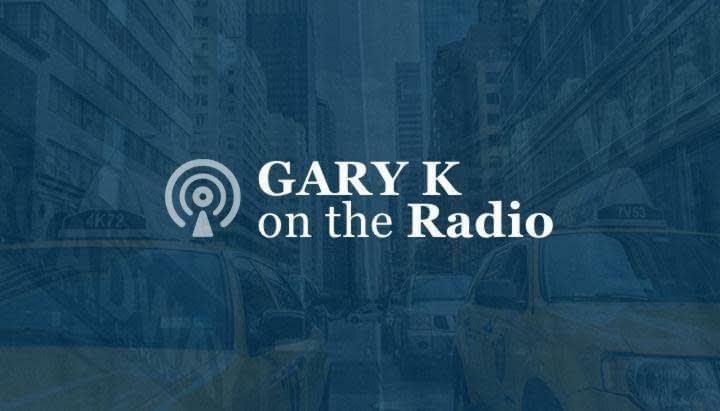 http://garykaltbaum.com/wp-content/uploads/2015/11/GaryK-RedTie-Head-Shot01.png 630 1020 aaronmat-admin http://garykaltbaum.com/wp-content/uploads/2019/01/gary-k-logo7-01.png aaronmat-admin2011-12-30 19:15:332011-12-30 19:15:33OVER $15 TRILLION IN DEBT AND THIS YUTZ IS HAPPY ABOUT IT...AND HE IS A NOBEL ECONOMIST! One of day left of trading in the markets for 2011. Well, yesterday I said on the show, “Man, maybe they’re not going to get the market up by the end of year (I’m using the S&P 500 as the market). No…whatever was lost on the S&P yesterday…almost got it back today. Almost got it back on the Dow. Not close on the Nasdaq or Nasdaq-100. So, take yesterday. We got a little bit of the opposite today. …And I have been succinct. I have been to the point. I have specifically told you that, “I don’t know” on numerous occasions for good reason. We had weeks and weeks and weeks where we had gone up 10% three days, down 10% the next four days. Up 12% four days, down 9% the next 3 days. A lot of the moves were on 300 point gaps on the upside and 300 point gaps to the down side. A lot of moves were based on “Europe being saved” and this, that and the other thing. My stance has not changed for months. It’s very simple. I have committed very little capital to this market. Since we had that reactionary low, October 4th, we have drifted higher with wild swings. We are still below massive resistance that was carved out from the February to the May-June period. We have a bull phase going on in defensive issues: Foods, drugs, beverages, tobacco, utilities, household products, a few REITs, muni bond funds, discount and dollar stores, and I have to add oil pipelines to that. You have bear markets in: Everything commodity, including oils, steel, copper, aluminum, metals, mining, and construction. Semiconductors, though they’re off the lows. Financials, though they’re off the lows. And a few things are actually coming up the right side. We have bear markets in Gold and Silver. We have little bullish markets in housing and housing-related names like Home Depot and Lowes. I’m seeing the XHB (Homebuilders SPDR ETF) coming up the right side…needs to break above resistance. We have bear markets in past growth leaders Amazon, BIDU, Salesforce.com, Deckers (which got slammed again today), Herbalife, lululemon, Priceline, Ralph Lauren, Ulta Salon, Underarmor, VMware, and Wynn Resorts. The growth leaders I have left on my list include Apple…in a six-month base. Alexion, but not really going anywhere. Chipotle…six-month base. DollarTree. Google. Hansen Natural holds the 50-day moving average today. Intuitive Surgical, a low volume name that actually moved above resistance the past couple of days. Mastercard which is slowly ascending above the 50-day. Panara. Visa (along with Mastercard). And then you have some action names, but which I don’t include in my big leaders: Petsmart, Nike, O’Reiley Automotive, Ross Stores, Starbucks, GNC, Fastenal, and Amgen. Cloud computing stocks in a bear market. Software stocks in a bear market. A lot of tech in a bear market. Bear markets in foreign markets. They are woefully underperforming the U.S. Markets. And that’s it. Nothing’s changed. It’s still the same, whether we have an up day today, or a down day yesterday. Yesterday on the down day, I told you what was bullish and what was bearish. Today, I’ll tell you what was bullish and what was bearish. I have no clue what the market’s going to be at the end of next year. I don’t know who the next president’s going to be. I don’t what’s going to happen in Europe. I don’t know what’s going to happen to our 15 trillion (going to 16 trillion) in debt. I know what’s happening now. Washington —The United States has ended a 30-year tax subsidy for corn-based ethanol that cost taxpayers $6 billion annually, and ended a tariff on imported Brazilian ethanol. I could not help myself. I must write about this book. As I read it, my mouth was agape. How can any of these politicians be relevant when telling others about right and wrong. We just saw Raj Rajaratnam go to jail for many years. We saw Martha Stewart go to jail. We have seen the SEC buckle down on illegal insider trading but we now find out, those rules do not apply to our politicians. Our politicians can commit what in our world, are felonies. In their world…are no biggies. How has this come about and why hasn’t the mainstream media jumped all over this? To my chagrin, hardly anyone is talking about this now. It has been all but dropped. Imagine a politician buying land and then earmarking a road near the land in order to raise values. That politician then sells at a hefty profit. Imagine a politician on the banking and finance committee voting on financial matters and then either going long or short those same stocks which would benefit or not from their vote. Imagine a politician who had a vote on Obamacare and then buy and sell stocks based on where they knew the vote was going. Well…you don’t have to imagine. In plain sight, these hypocritical #&#@* have made rules for themselves that should make all regulators cringe. Now we get to figure out why tax evasion received a slap on the hand. These people think they are above us. These people think they are not accountable. I am sorry, in my mind, these people are crooks. If I traded on inside info…if I self-dealed…if I put myself in front of my clients, I am out of business and begging the courts for mercy before they send me away. Not in Washington. Tax evasion gets a slap on the hand as well as re-election. Stories now abound about politicians who came into office with very little money and on a fixed salary, leave with millions years later. How did this occur? Please read the book. But the most amazing chapter in the book was chapter 5…all about the cronyism of this administration. ..as they took taxpayer dollars and handed them off to friends…some of them billionaires. Yes…this administration that is for the 99% is now found to be not for the 1%…but for the .5%…and all are friends. This administration has now broken all track records for ripping the taxpayer off in order to enrich their friends, their bundlers, their heavy lifters…yet where is the outrage? 60 Minutes did a show on all this. Was there any follow-up? If this chapter is true, I consider this administration the most corrupt we have seen in ages as they are simply stealing taxpayer dollars that have not even been earned by the taxpayer (deficit spending) to enrich their cronies. If true, Obama’s class warfare is nothing but public relations and nothing but a fraud as his cronies are mostly wealthy, rich people with their hands out. Solyndra was not just an issue…it was a poster child of what they are doing with our money. This chapter is a must read for anyone that believes in fair play and a level playing field. It is absolutely sickening…and we have no say in the matter. 2 days of trading left in this nauseating year of 2011…nauseating because the market has been nauseating since February. That’s when a lot of things topped out. I’ve been saying that this market’s going to be a pain in the rear end and very tough to play. I’ve been saying that for eons. A lot of the market is in a bear market. Foreign markets are definitely a lot worse off than we are. No leadership — until the past couple of weeks. What was the leadership? Food, drugs, beverages, tobacco, household products, utilities, municipal bond funds, a few REITs, discount stores…in other words – DEFENSIVE ISSUES. And, of course, I also told you that it’s not good when defensive issues lead the market. And when you combine that with the fact that the economically sensitive areas are the ones that are in the bear market, it gives me pause. But what else have I been telling you? I’m not worried about December so much. And frankly until last Monday, I wasn’t sure we were going to get that usual end of the year markup. But we got it. My thought process was, we’re ok until January. BUT AS I ALSO HAVE TOLD YOU, I’M WORRIED ABOUT JANUARY. Because typically in markets that are not in good shape, once they paint it up into the end of December, they come selling in January, not necessarily in the first day like they did in ’08. Some times it’s two weeks later. After today’s action, I am not so sure that the painting of the tape is not over and that they ended it today. I can’t say that for sure because we have walked into markets that looked so bad, and the next day they gapped it up 250 points. But every time they did that, they gapped it up on “another save in Europe,” another TARP…another this, that or the other thing. Anyway, I’m just letting you know from my weary eyes…and wary eyes – I don’t like the action, knowing they could gap me up 250 points tomorrow. For example, even with the recent rally that we’ve had up, commodities of all stripes are bearish as all heck…STEEL, MINING, COPPER, ALUMINUM, FERTILIZES, OIL, CONSTRUCTION, COAL, not to mention GOLD and SILVER which got obliterated today. FINANCIALS, while the budged upward, only budged. Foreign markets as I told you remain bearish and the Shanghai Index out of China is at new yearly lows. SEMICONDUCTORS are weak on a relative basis. So I think you just need to be careful. Frankly, not much has changed except, I was worried about January and another leg down. We’ll see if today started it. More nonsense from Washington and Wall Street! Just thinking to myself…if Jon Corzine was anyone else, wouldn’t his passport be taken away? Wouldn’t the powers that be look at him with a jaundiced eye…especially after the Madoff incident? Just a question to ponder. The playing field remains uneven as I believe that if this wasn’t Corzine, that person would be locked away with the key thrown away. For me, the most amazing part of this story is that this supposed genius of Wall Street, the ex-head honcho of Goldman Sachs…actually and simply repeated the mistakes that brought down so many houses in 2008. To keep leverage above 30-1 with some saying it was much higher…just flies in the face of logic. He says the leverage was there when he started. Let’s say that this was true. It still does not take away from his inaction. Which leads me to the missing bucks. They know where the money is. I am an RIA. I know how the whole financial business works. There is a trail for everything. There is a trail coming in. There is a trail coming out. Something is not right with this picture and I am confident if the truth comes out, it will be shown that money was moved nefariously to benefit some in front of others. Which leads me to the media. Why aren’t they and why didn’t they bark up a storm about a man who took over a company, a company that was in business for decades and killed it within a year’s time? I am just wondering if this man had an R in front of his name instead of a D…what would have happened? I am in hopes the real truth comes out but after watching all the nonsense over the years between Washington and Wall Street, after watching the patty cake questions of the “Honorable” Corzine, I gather somehow this one will end quietly. Think Franklin Raines. A few weeks ago, my wife needed some sterno. This was around Thanksgiving and I went to the Kmart around where I live. Now, I have not been to Kmart in years. I’ve been in Targets and Walmarts, but I have not been in a Kmart. I walked in and…it was smelly, dirty, dingy….almost gross. They were understaffed. And when I asked about sterno, they sent me to about three different places before finding out they actually didn’t have any. I don’t like coming on this show about talking bad about companies. I like to talk about the good. But when something sticks out like a sore thumb, I think I owe it to you guys. So you’ll know what to invest in, what to look at, and what not to invest in. And I guess what I’ve taught you is to INVEST IN GREATNESS. I had no idea. I was making no predictions, except to say that, as I told you, Sears , Kmart just looked like they had problems. Specific actions: They’re going to close 100 to 120 Kmarts and Sears full-line stores and this, that and the other thing. This has not been a well-run company in a long time. And it’s very simple. Sometimes you don’t need to look at numbers. You just look with your eyes. So Sears Holdings was down 12 bucks to 33. Their losses over the past few quarters have been massive on no sales gains. And while everybody else is doing better with their stores, they’re doing worse. And I know there are 4000 Kmart and Sears stores. I gotta tell you, consumers they watch, they look, they feel, they touch. Right here where that Kmart is, there is a Target. I’ll never go to that Kmart again…I’ll got Target. Or that Walmat which is about a mile away. If I’m thinking that way, guess what? So just food for thought. Sometimes, you can see with your own eyes. You don’t have to worry about an analyst telling you things. You can see in retailers, restaurants and actual products. Follow those companies that have monstrously strong demand. Stay away from those companies that are heading south. Because I got news for you, you never know how far south, “south” is going to be. INVEST IN GREATNESS. If you’re going to get a 2-, 3-, 4-, 5- or 10-fold move, it’s because they are doing something right. Pretty much simple as that. Yes…in their never ending battle for fees, the investment banks never learn any lessons from past mistakes. I am talking about ridiculously priced IPOs where investors almost have no chance. I guess they do not remember Webvan, Pets.com or Buy.com. This $16 IPO traded at $26 the first day before closing just above $17. At $16, it gave this company a $2.5 billion market cap. Only one problem. At the time, the company had only $200 million in sales and lost money. It now sits at $10. This “hot” IPO came out at $25…traded at $42 the first day with it closing just below $39. It currently trades at $19 and change. At the $25 level, this company had a whopping $8 billion market cap…but they did have over $500 million in sales. I could have listed many more but you get the hint. One must realize that these investment bankers take advantage of the public by perpetuating the “hotness” of these issues. But they could not get away with this without the public. If the public would keep their emotions in check and pick their poison, these stocks could never get their valuations. The good news is that recent IPOs like Groupon and Zynga have not budged from their IPO price with Zynga actually down. This shows investors are finally becoming more picky about price…which will make the bankers think twice about price going forward. Bankamerica CEO Moynihan fibs…and of course, no one calling him on the carpet. John McDonald – Sanford C. Bernstein & Co., Inc.: So there’s no pressure to raise capital from regulatory side of things? Bank of America announced offerings of 400 million common shares and $3 billion in debt to retire preferred share and trust preferred securities. Of course, BAC did not need to raise capital. Very soon after Moynihan said BAC did not need to raise capital, it was found out that they were selling shares in China Construction Bank.To date, approximately $15 billion has been sold. Yes…BAC did not need to raise capital. By the way, this sale was done while the construction shares were down markedly. Many analysts are now saying they are not done as $50 billion in assets sales since Jan 2010 will not be enough. So I ask…what the heck is under the hood at BAC? The stock price action says it all.